It doesn’t have to go viral to be effective. It does, though need to provide useful content that customers will want to share. How-to videos will also position the company as an authority in its field—also a plus. Make sure it has a call to action that leads to the company website. Even better, give viewers a reward for clicking on the website’s link. 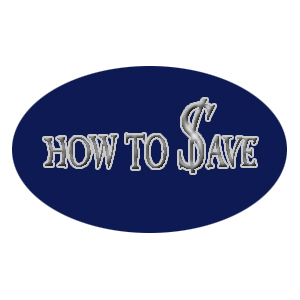 Offer low-cost, high-value freebies such as e-books, t-shirts, or coupons to those who visit the company’s website. Everyone knows that Google is where it’s at when it comes to searching for information. In fact, most people call the act of searching “Googling.” But if a company’s website isn’t on the first page of Google’s results, it’s not likely that people searching for its products or services will even find it. That’s where search engine optimization (SEO) comes in. Companies can revise their content to contain certain words and phrases that people search for when they look for the products the company offers. They can also increase the number of links that their website receives from other high-ranking websites to boost the company site’s popularity. That’s where useful, shareable content comes into play again. If others share the company site’s content, they’ll post links on their own website. In a search engine’s eyes, that increases a website’s authority and helps it to rank higher. It doesn’t cost a cent to share knowledge through a blog post. Like how-to and other informative videos, it positions the company as an authority in its field. As people in the company get more comfortable with the writing process, see if the company bloggers can snag a few guest posts on other blogs in the niche. Doing so will expose the company’s work to a wider audience. Make sure that bloggers include a link to the company website in the biography section of the post. Email marketing is cheap, effective, and helps you engage regularly with your target customers. Offer people an incentive to subscribe: exclusive information the company won’t publish on its blog or social media, coupons, or even white papers or e-books. Once they subscribe, feed them regularly with actionable information that can help them solve their most vexing problems. As they engage with the company through the email newsletter, they will grow in trust—and in their likelihood to trust the company with their business. Of course, a company needs a Facebook page. That’s not all, though. Engage with customers online so they can see that the company is responsive to inquiries, solves problems, and has a real interest in the customers themselves—not just their pocketbooks. Remember, social media is where most word-of-mouth recommendations happen today—so be both active and proactive on social media. With a little work and hardly any money, even startup companies and non-profits can promote their websites with these low-cost marketing tips.